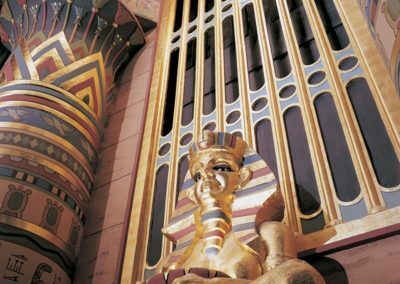 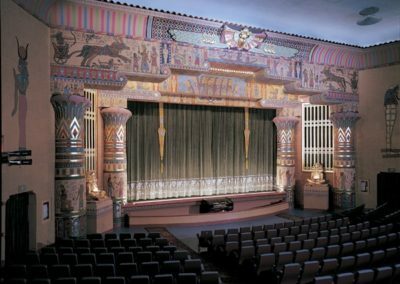 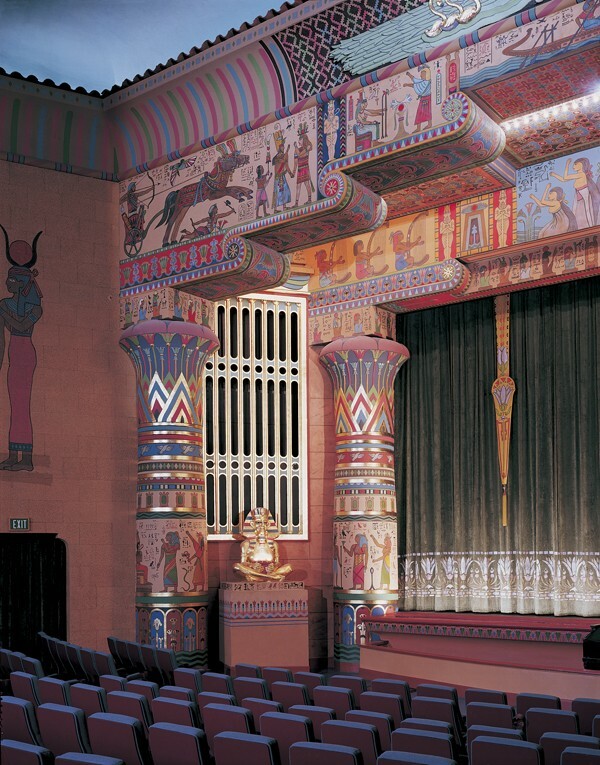 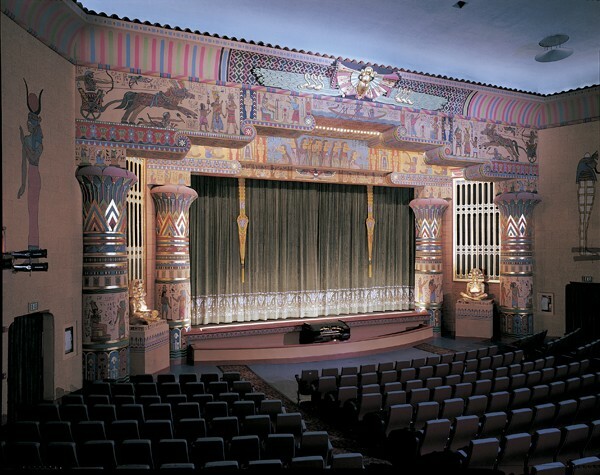 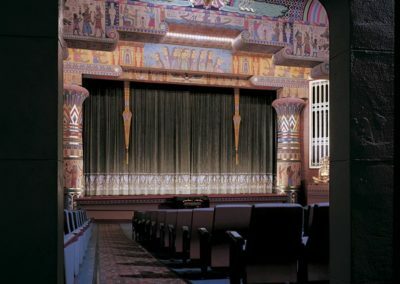 To restore the Egyptian Theatre in Boise, Idaho to its original, wondrous state of 1927. 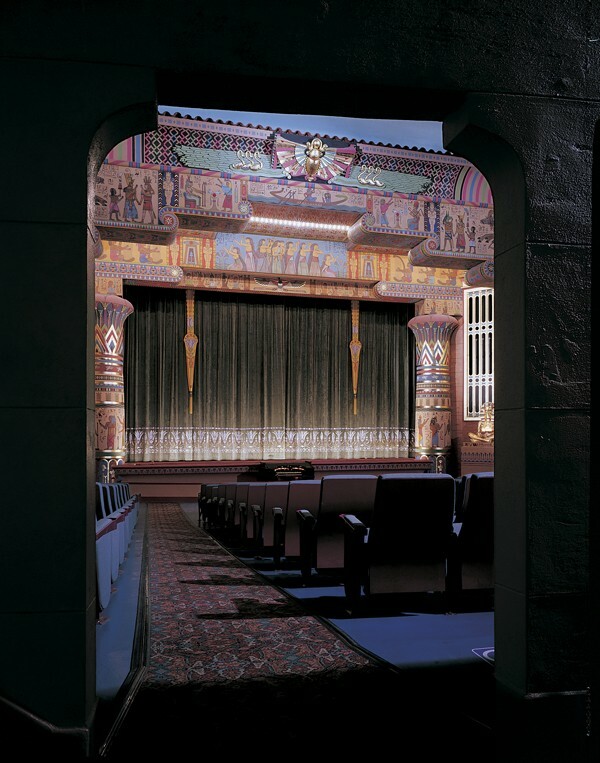 The intricate painting on the proscenium was in poor condition, and the once elaborately painted lobby had been completely overpainted in beige. 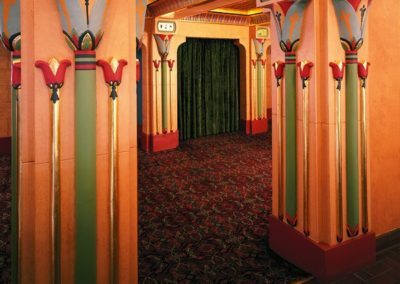 Conrad Schmitt Studios conducted an extensive investigation to uncover and analyze the original color scheme and designs. 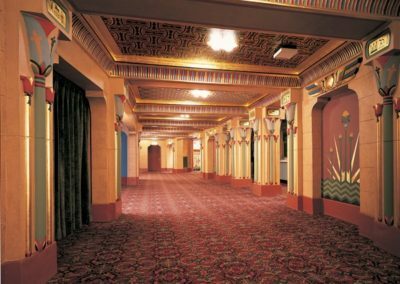 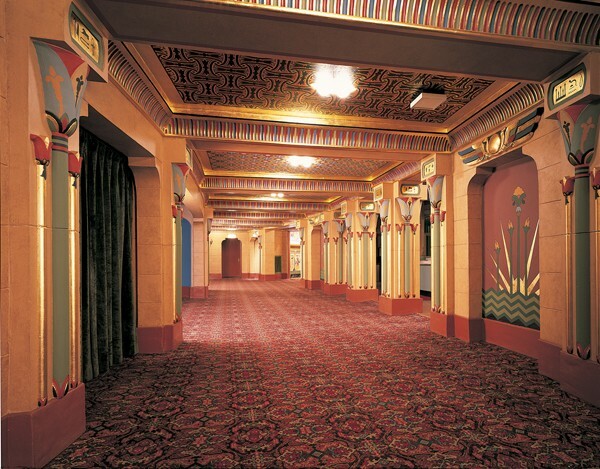 Approximately thirty paint colors were subsequently used throughout the theatre and the lobby, with some areas requiring more than seventy different tones. 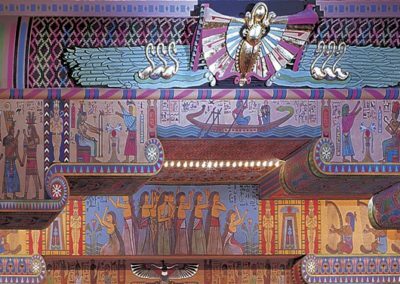 One unusual aspect of the project was to recreate missing paintings of 14-foot figures on the side walls of the main house using the original architect’s drawings as a guide. 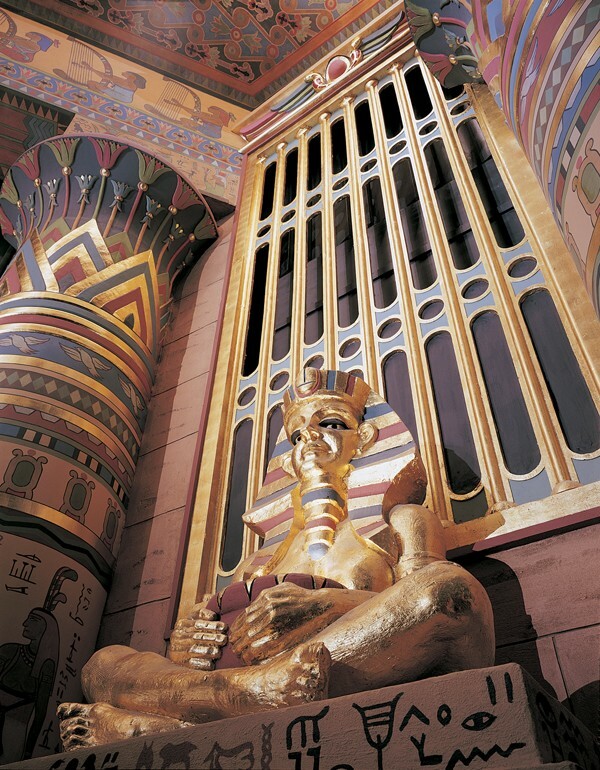 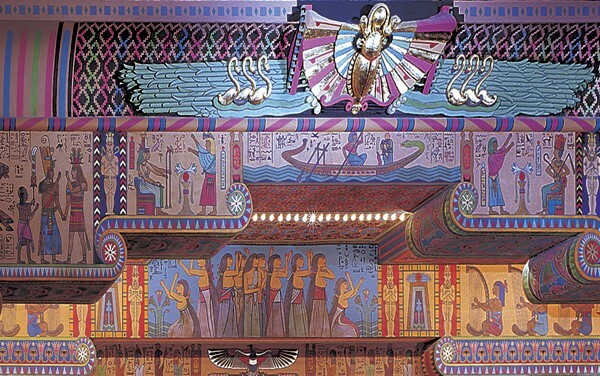 Eleven textured ceilings were entirely re-gilded and stenciled with Egyptian motifs. 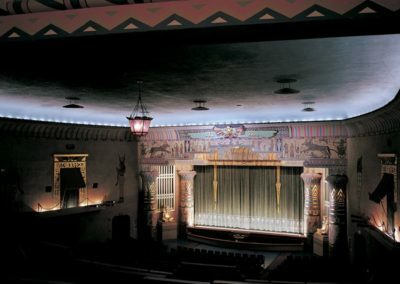 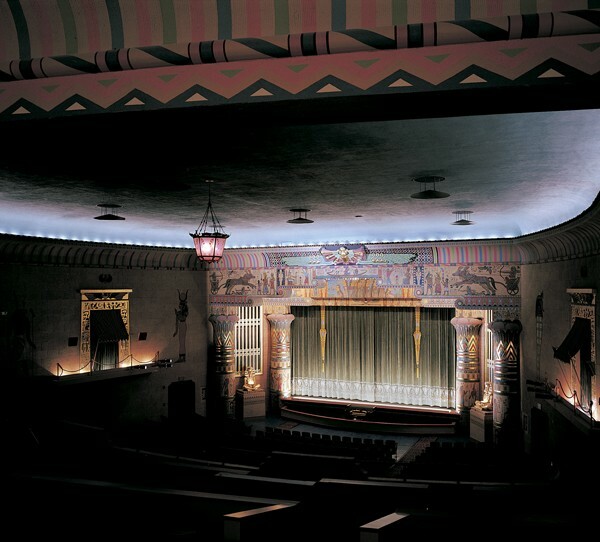 The Painting and Decorating Contractors of America honored Conrad Schmitt Studios with their historic restoration award in 2000 for the restoration of this unique theatre. 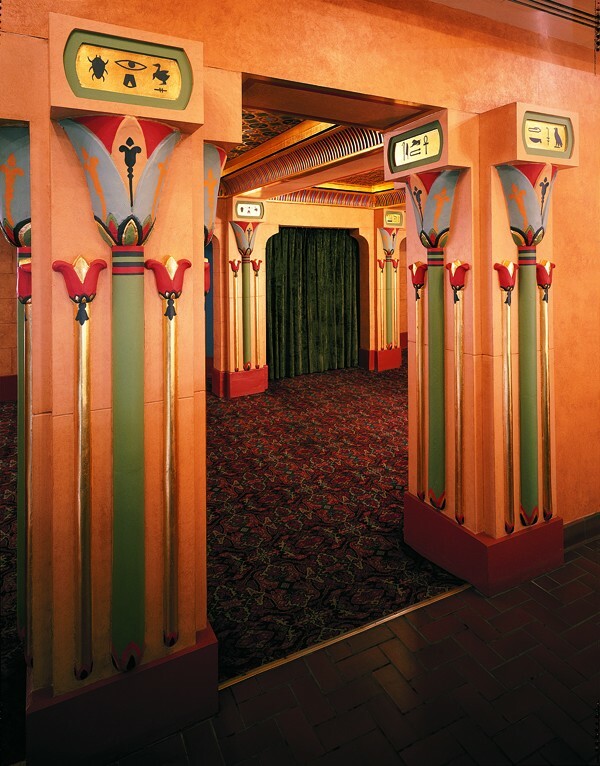 View a recently published article on the National Trust for Historic Preservation site.